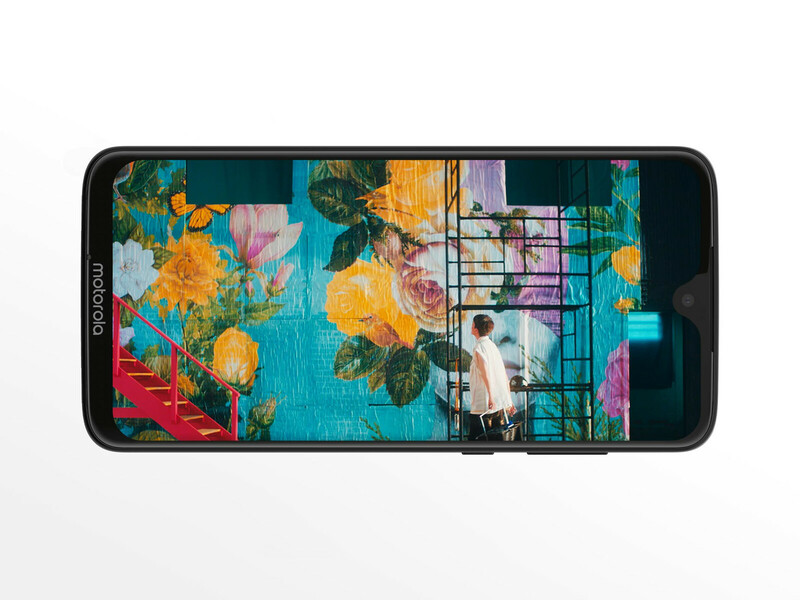 Comparado ao seu antecessor, o Motorola Moto G7 atinge novas alturas com mais desempenho e mais armazenamento. O preço continua o mesmo, o que torna o novo smartphone de gama média da Motorola muito atraente. The Motorola Moto G7 offers solid performance, but its cameras and call quality leave room for improvement. Moto has a winner with the G7. While the company’s more expensive phones tend to not justify their higher prices, the G series is a bastion of smartphone consistency and the G7 is the best Moto G yet. In fact, the phone exceeded my expectations in almost every way. Thanks to its big, inviting screen, thoughtful design, ultra-reliable biometrics, and intuitive software, I'm happy to recommend it to anyone; that it's $300 is a bonus. That is, if you can live with software updates that happen infrequently at best. And in fact, the Moto G7 is probably a worthy upgrade from the G6. There's a massive performance boost from this model, with its Snapdragon 632 chipset. The cool thing is that with the Moto G series, you actually can upgrade your phone every year without breaking the bank, and I think you'll be happy if you do just that this year. The Moto G7 refines rather than redefines the company’s affordable phone offering, but despite its well-rounded approach, you'll find more bang for your buck elsewhere. 80% Motorola Moto G7 review: Is the standard model the one to buy? The Moto G7 is a great budget phone that improves over its predecessor. Its problem is the G7 Plus which is £30 more and delivers faster charging, optical stabilisation for its better cameras, and a minor bump in processor - making it the phone to buy (after all, they both have the same design and screen sizes). Overall, Moto is not doing anything extraordinary, but it does not need to: the new Moto phones are an evolution in terms of design with thinner bezels and more stylish looks, they are faster with the Snapdragon 6xx series of chips, and they work reliably, with a clean and likeable interface. The Moto G7 seems like the default option in this year’s line-up of just about the most venerated affordable phone series, ever. It’s not the cheap one, the long-lasting one or the fancy, more powerful one. At first glance, the Moto G7 looks like a much more expensive phone than it actually is. It may not offer top-end power or an incredible camera experience, but if you’re on the lookout for an affordable phone that works well and reliably, you’re sure be a fan of what Motorola’s G series flagship can do. We had a particularly tough time populating the lists below, and that's probably a good thing - the Moto G7 doesn't really shine, yet it doesn't necessarily disappoint in any particular area. Isn't that what the definition of a successful midranger should be? The Moto G7 doesn’t rework the wheel. It refines rather than redefines the company’s affordable phone offering, giving buyers on a budget a surprisingly well-balanced phone with no clear hardware or software weakness. Hopefully, it will deliver on its promise when we more thoroughly test it for our full review. What was once a single, decently specced and very affordable Moto G has morphed into a whole lineup of Moto G7s some 5+ years later. This latest generation caters to a wide array of users in the low-to-mid... midrange with prices varying from €150 to €300 and hardware to reflect those differences. Motorola Moto G7 initial review: Is the standard model the one to buy? The Motorola Moto G7 is a lovely looking device that marries a premium finish with a great price point. It might be £100 more than the original Moto G that launched all those years ago but this series has come a long way since then and the finish is far beyond its price point. Might I recommend these phones? Motorola has mastered the art of bringing value and appeal together. Not everyone can afford $1000 flagships. I am grateful that Motorola keeps all consumers in mind. The 2019 G7 series are solid, budget-friendly devices that anyone should be proud to carry around. 74% Motorola Moto G7 Ein Must-have in der Mittelklasse? Qualcomm Adreno 506: Estes processadores gráficos podem mostrar fluidamente só jogos antigos. Jogos atuais só podem ser apresentados com detalhes substancialmente reduzidos. 6.2": Apenas alguns smartphones têm telas maiores. Grandes tamanhos de tela permitem maiores resoluções. Portanto, detalhes como letras são maiores. Por outro lado, o consumo de energia é menor com diagonais de tela menores e os aparelhos são menores, mais leves e mais econômicos. 0.172 kg: Este peso é típico para smartphones. 81.93%: Esta avaliação é para ser considerada como média, porque a quantidade de portáteis com melhores avaliações é quase a mesma que a quantidade com avaliações piores.